Katie Brennan testifies before a legislative committee, detailing her failed efforts to alert several top Murphy administration staffers about her sexual assault. What will the ramifications be for the administration? Plus, a new $15 minimum wage bill is released. Does it have enough support to become law? And, a Democratic plan for to change the redistricting process. 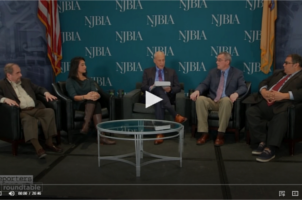 Filmed before a live audience at NJBIA’s Public Policy Forum, reporters Anjalee Khemlani, Michael Symons, Nick Acocella and David Cruz join veteran correspondent Michael Aron.